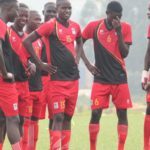 Home News Lukwago recruits squad to counteract Mutale’s Kiboko Squad. Lukwago recruits squad to counteract Mutale’s Kiboko Squad. 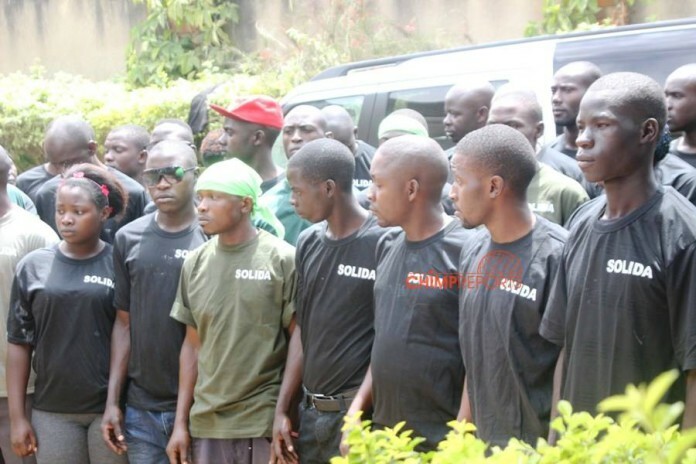 A group of youth recruits set to counter Mak. Mutale's 'militia'. A group of youth recruits set to counter Maj. Mutale’s ‘militia’. The Lord Mayor of Kampala Erias Lukwago has recruited a security squad to counter Maj. Rowland Kakoza Mutale’s militias that are being trained in Luwero to defend President Museveni’s continued stay in presidency in the fourth coming 2016 Presidential elections. While speaking to reporters on Monday afternoon at his wakaliga home, Lukwago emphasized that his group dubbed The Truth and Justice would not sit back and watch as Mutale prepares for violence in the coming elections. “When you have the likes of Mutale training what do you do? Do you just sit and watch? We know it’s such a big task ahead of us but we have decided to strengthen our security detail,” Lukwago said. Mutale last week confirmed he is currently training militias in preparation for the 2016 elections, with the sole purpose of fighting opponent of Museveni. The Lord Mayor was however quick to distance himself from reports that the group of youths has been armed and is a militia noting that these have are citizens who have joined voluntarily. He also says they have prepared themselves for self-defense and they will counter those who want to derail their cause. “We shall guard the will of the people by guarding the votes and repel the would-be trouble causers.” He promised. Mr. Ivan Bwowe, a former Guild President of Makerere who is handling the recruitment said they are getting positive response from youths who are willing to defend this nation from the mayhem that Mutale wants to cause during the elections. 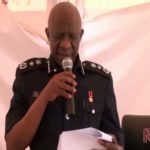 “We are doing massive voluntary recruitment and so far the training is ongoing and I call upon all those able bodied youth who yearn for peace to join us,” He said. Bwobwe says the group is already trained and equipped with the skills that are necessary and are ready for action.